On the evening of March 31, 2019, Shirley Ann Kentel (Yungblut) a loving wife, mother, grandmother, sister, aunt, and friend passed away peacefully at home. She will always be remembered for her commitment to her family and friends and her unwavering love. On July 28, 1935 in the warmth of the beautiful Niagara Valley, Shirley Ann was born to Susannah (Lahmer) and Theodore Yungblut in St. Catharines, Ontario. She was baptized March 15, 1936 and confirmed June 27, 1954 at Christ Lutheran Church in St. Catharines. She was raised harvesting grapes amongst nine siblings in a farm house on 4th and Louth. After completing high school, she joined the Royal Canadian Air Force where she faithfully served until the time her sweetheart Murvyn Kentel drove along the St Lawrence River from St. Catharines to Prince Edward Island to drop a knee and propose marriage to her in Lover’s Lane in the village of Avonlea. Shirley Ann Yungblut and Pastor Murvyn Renwick Kentel were married June 9, 1956. They were blessed with four children Jim (Carmen), Jeanne, Steve (Jacquie), and Miriam. She was also delighted to love twelve grandchildren Joshua (Hannah), Sarah (Rob), Jesse, Jo, Curtis (Chelsea), Christina, Jensen, Kevin, Eli, Joel, Kai, and Carter. Although family was always her priority, she also was a creative genius crafting many works of art, she worked as a real estate agent, at the age of 39 she became a Registered Nurse serving primarily at St Amant Centre (Winnipeg) for people with disabilities and gave countless hours to the churches where she was a member. Among those who passed before her were her parents Susie and Theodore, sisters Carolyn and Marian, and brothers Paul and Don. 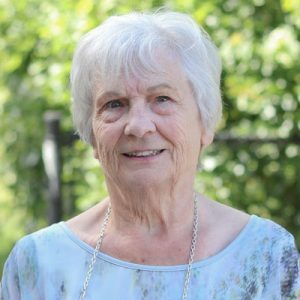 In addition to her husband, children, and grandchildren, surviving family members are her brothers Leonard (Murielle), Morley (Dianne), David, Dennis, sister Evelyn as well as numerous sisters and brothers in law, nieces and nephews, and grand nieces and nephews. The family is most grateful for the care provided by the Palliative Care Team comprising the Central Okanagan Hospice House, Kelowna General Hospital, and Interior Health Community and Respite Care. May God bless you all. A viewing will be held at Springfield Funeral Home, 2020 Springfield Road, Kelowna, BC on Thursday, April 4 from 6:30 to 8:00 pm. A memorial service will take place at First Lutheran Church, 4091 Lakeshore Road, Kelowna, BC on Friday, April 5 at 2:00 pm officiated by Pastors Rod Buck and Keith Reisdorf. In lieu of flowers donations can be made to the Lutheran Hour or First Lutheran Church, Kelowna. The service for KENTEL (Yungblut), Shirley Ann is scheduled for Friday, April 5 at 2:00 pm . Below you will find the map for the service location and the contact information should you have any questions. Our prayers are with Murv and entire family. We do feel privileged to have known Shirley and seen her love for all.. May you be comforted knowing she is now in her joyous home with our Saviour. I thank God that He allowed my path to cross Shirley’s every once in a while, even though it was not often and not for long. I was blessed repeatedly from my involvement in churches where you folks left your “fingerprints” behind in places like St. Catharines and Winnipeg. Shirley was unfailingly encouraging to me every time we saw one another, usually at those church-at-large type gatherings. She put me on the receiving end of the love of Christ already when I was a young pastor, and especially during the years God gave me as President of Lutheran Church-Canada. Now the Lord is inviting especially you, brother Murv, to lean hard on the comfort that you held out to countless other people during your long and conscientious ministry. The world will surely feel like an emptier place without Shirley in it, but the crucified and risen Christ is using this parting, too, to get you ready and to deepen your longing for the life in His Presence which has no end. Together with people across the country who have to come to love you, I’m glad for the gladness your Shirley experiences already now. “The Lord gives strength to His people; the Lord blesses His people with peace” (Ps. 29:11). That pledge is God’s to give and yours to have. Sincere condolences and love to all of you! Sorry to hear of Shirley’s passing. Our thoughts and prayers are with you at this time. Our condolences to the Kentel family on the passing of Shirley. May the peace of the Lord comfort you. Our hearts and prayers are with you Murv, Jim Jeanne, Steven and Miriam and all your extended family and grandchilden. We were blessed to have known Shirley during the years you all lived in Winnipeg. She will be remembered always for her love and encouragement to our family. Rest in Peace, Shirley, safe in the arms of Jesus. Kentel family…I am so sorry for your loss. She was a very special lady and although I have not seen her for years, I will never forget her beautiful smile and sparkling eyes. My condolences to you all. Pastor Kentel & Family, we are very sorry to hear of Shirley’s passing. May the promise of the Resurrection bring you comfort, even in the midst of your sorrow.